Strongest had winds of up to 120 miles per hour. DES MOINES, Iowa (AP) — The National Weather Service says nearly a dozen tornadoes touched down in rural areas across Iowa as strong storms swept the state Tuesday. 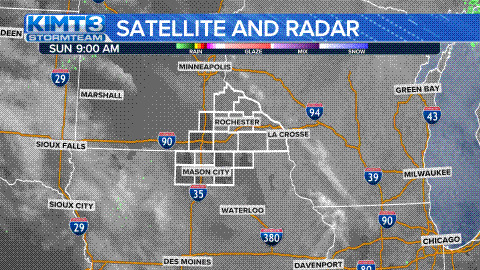 Service meteorologist Mike Fowle in Des Moines says 10 tornadoes were confirmed in the central third of the state, with the strongest hitting near Creston in south-central Iowa. Fowle says that EF-2 twister brought winds of up to 120 mph, destroying a garage and pulling off part of a mobile home roof. No injuries were reported with any of the tornadoes. Fowle says an EF-1 tornado with 90 mph winds hit near Stewart, damaging trees. The others were rated EF-0 with winds of 70-85 mph. One damaged an airplane hangar at the Centerville Municipal Airport. In eastern Iowa, the service says one tornado was reported near Blairstown. No damage was reported.